I have player "slitherlink" (or "Loopy" as it is sometimes called) generally on a 20x25 grid, so I don't finish too quickly. However I have come across a puzzle (seed was not recorded), that MUST be solvable, but every attempt (2 dozen or so times) results in a impossibility. Attached is a photo of the corner of the puzzle. The inconsistency happens while solving this corner, there has been no need to leave the bounds marked, before it fails. There are 2 zero squares, and a couple of 3-3 3-2-3 patterns to start from. This is failure is driving me crazy, and I have been very very cautious in checking each of my moves. 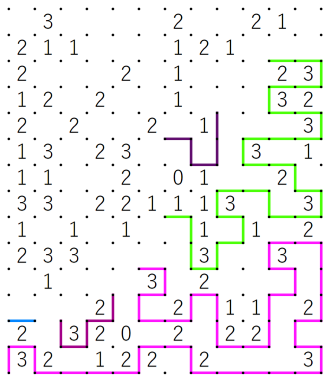 I didn't get any contradictions, but up to here was uniquely solvable (at least by my reasoning, if I didn't make a mistake) using the clues in the demarcated region. Hope this helps! Click for higher-resolution image. 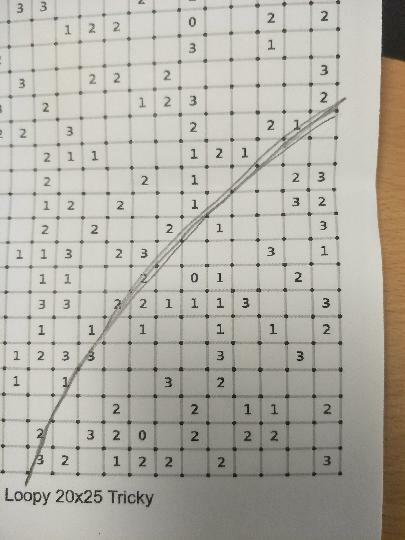 I used this site to input the grid and draw my solution. 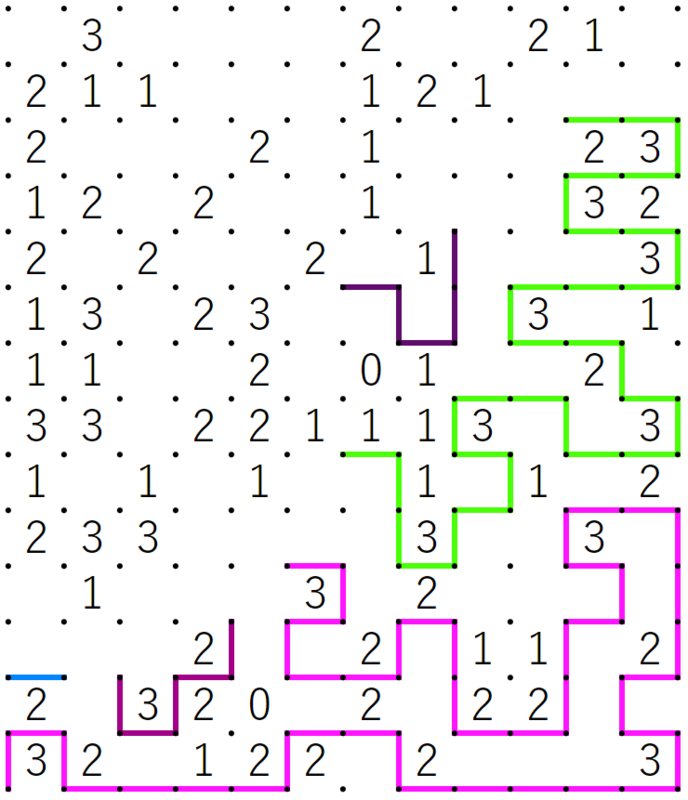 What is a “unique solution” in a Slitherlink puzzle?